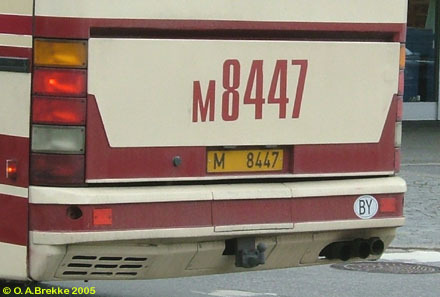 7894 EM-5 Normal series since 2004. 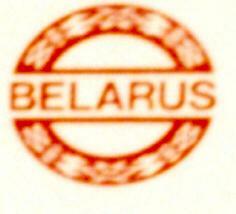 5 = Minsk region. 7894 EM-5 Close-up of the above. BY BY is diagonally screened across the lettering and border. 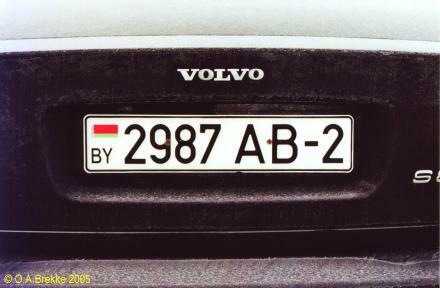 2987 AB-2 Normal series since 2004. 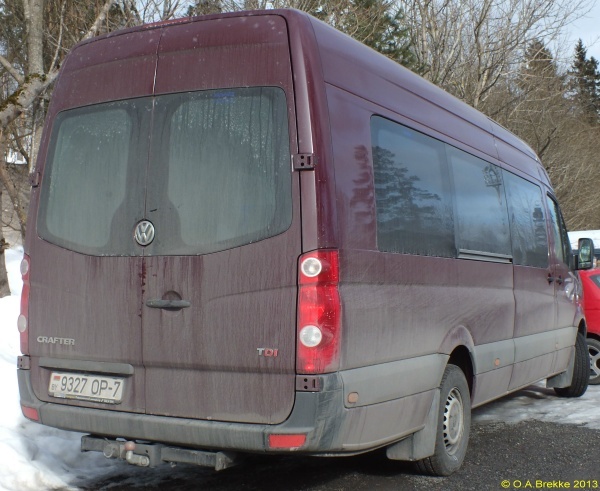 The last 2 = Vitsyebsk (Vitebsk). 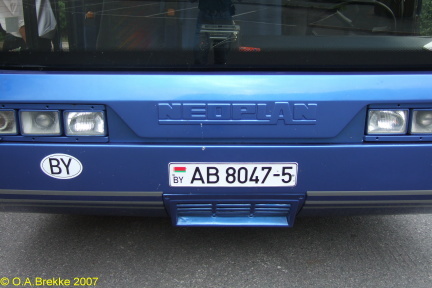 9327 OP-7 Normal series since 2004. The last 7 = Minsk city. 9327 OP-7 Close-up of the above. 1161/BO-7 Normal series since 2004. 7 = Minsk city. 1161/BO-7 Close-up of the above. 3681/IO-7 Normal series since 2004. 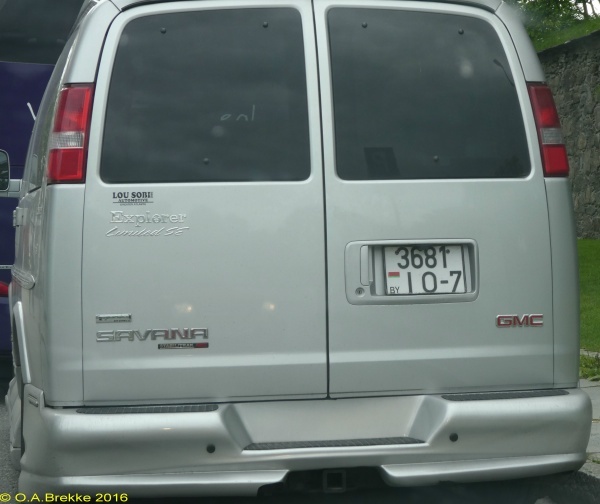 7 = Minsk city. 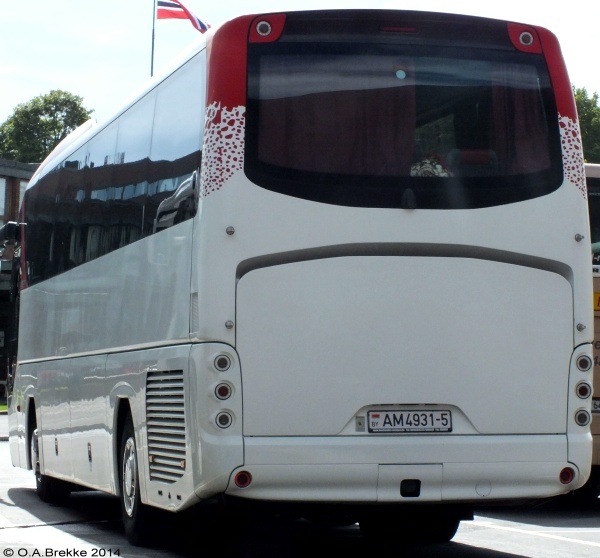 AM 4931-5 Commercially used vehicle series since 2004. 5 = Minsk region. AM 4931-5 Close-up of the above. 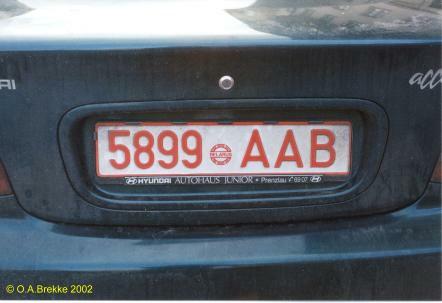 AB 8047-5 Commercially used vehicle series since 2004. 5 = Minsk region. 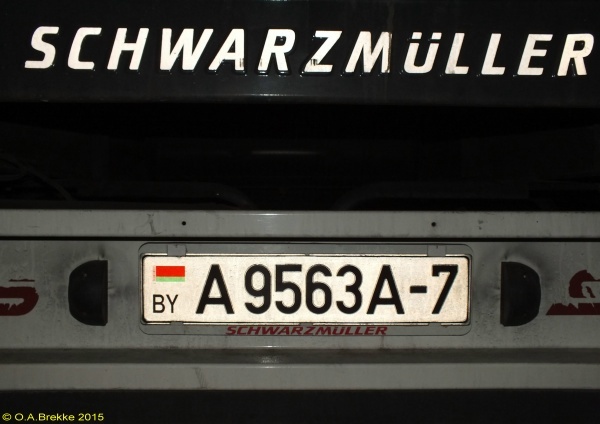 A 9563A-7 Trailer series since 2004. 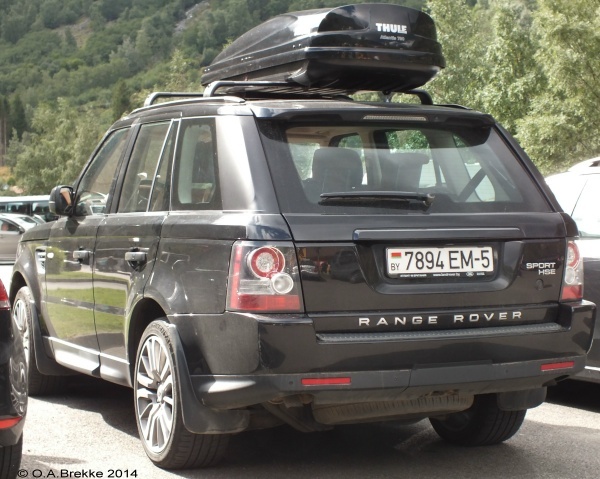 7 = Minsk city. A 9563A-7 Close-up of the above. M 8447 Foreign residents series since 1992. M = Foreign owned companies. 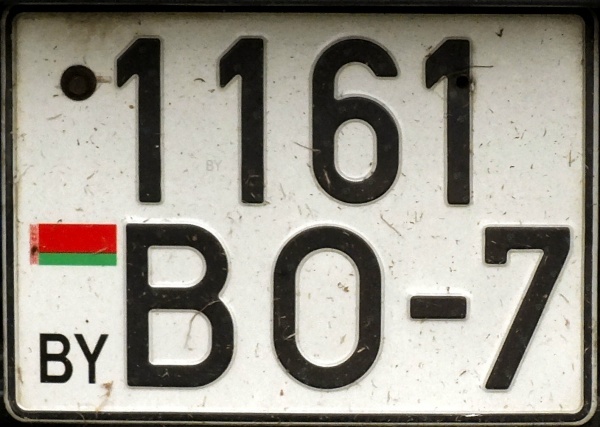 8 = Minsk region. 1252 MББ USSR official series 1980-92, also used for normal series in the end. 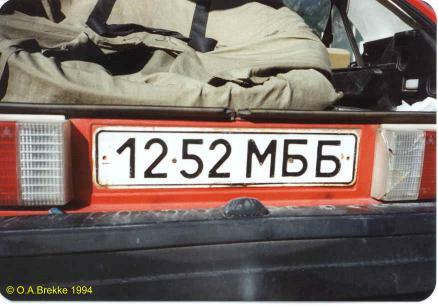 MБ = Minsk. 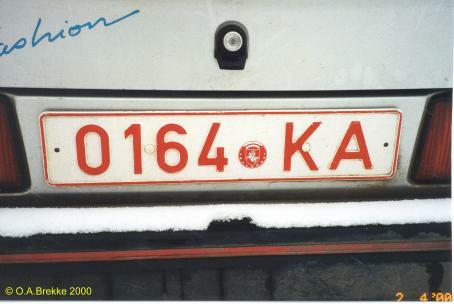 0164 KA Normal series 1992-2000. K = Minsk city. 1992-95 seal. Seal Close-up of the 1992-95 seal. 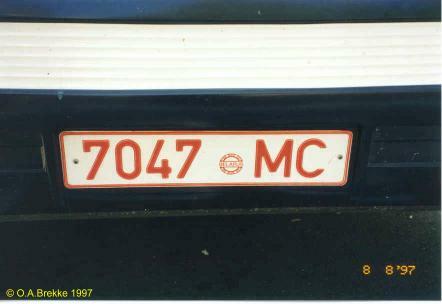 7047 MC Normal series 1992-2000. M = Minsk city. 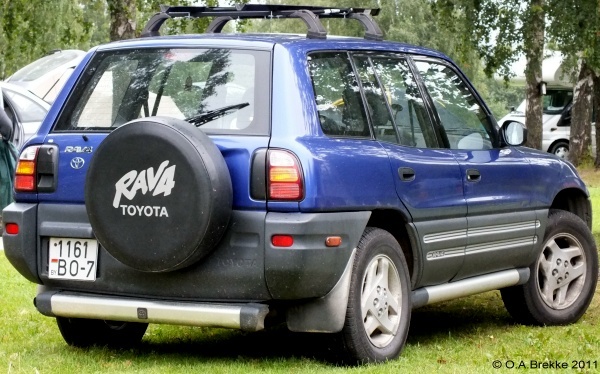 1996-2004 seal. Seal Close-up of the 1996-2004 seal. 5899 AAB Normal series 2000-04. The first A = Brest. 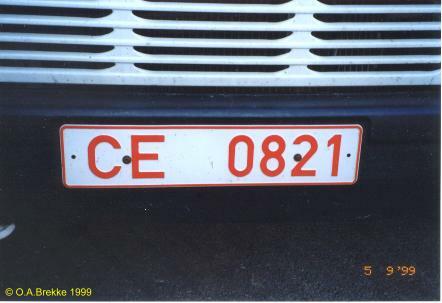 CE 0821 Commercially used vehicle series 1992-2004. C = Hrodna (Grodno). 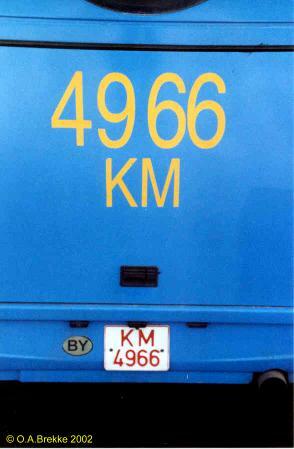 KM/4966 Commercially used vehicle series 1992-2004. K = Minsk city. 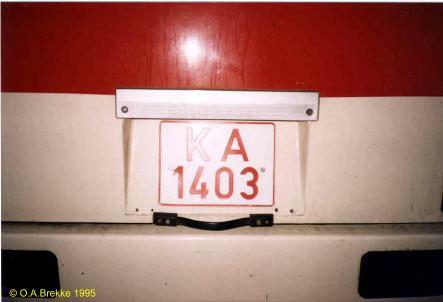 KA/1403 Commercially used vehicle series 1992-2004. K = Minsk city. 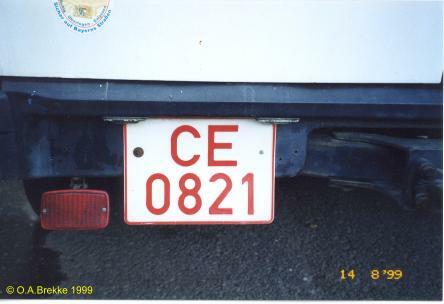 CE/0821 Commercially used vehicle series 1992-2004. C = Hrodna (Grodno). 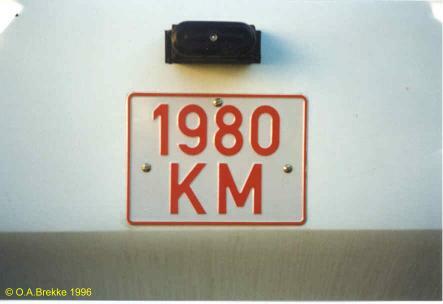 1980/KM Trailer series 1992-2000. K = Minsk city.